Then this morning decided to to use this stamp with the tiny candle in it did try using flame colours but it didn't catch the eye as much as this one ,so would have binned it - this one I can use for a masculine card. 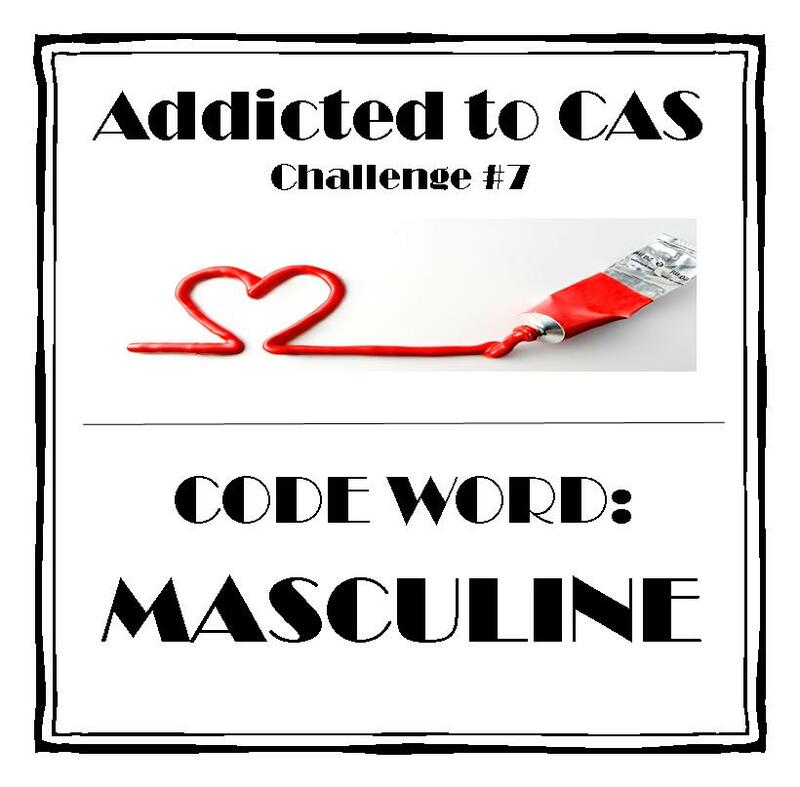 ( and it will also tie in nicely with the Addicted to CAS challenge too hee he ) so though might not be quite what the challenge is looking for there is a flame there! Hi Jenny so glad you stuck with it ! I do believe the wine and the crisps where a big help.....well they always help me of course substitute gin for wine lol ! Fabulous dynamic card lovin the bold colour panels perfect for a guy. Thanks for joining us at ATCAS and good luck ! You're hilarious! 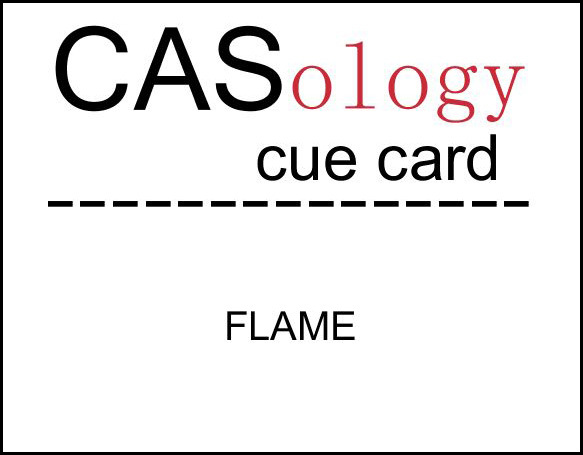 I see that tiny flame in there and this is a perfect masculine card. Thanks so much for playing along with CASology this week! glad you stuck with it, jenni! 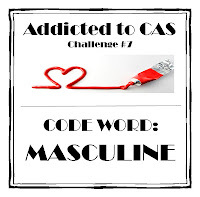 your card is perfect for a guy and for the CASology challenge!! so glad you played along this week!! Love the name of your blog! I see the tiny flame as well on this perfect masculine birthday card! Glad you joined in on the fun at CASology this week! This is a perfect masculine card! Fabulous card and yes its perfect for a mans card. Jenni, way to not give up! I admire that! 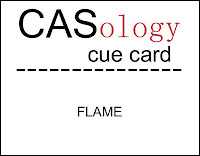 I'm glad you did play along at CASology...I can see that little flame and it is so cute! I always like a bit a CAS. Great colours for a masculine card too. In recognition of your crafty endeavours, I would love it if you will accept the Liebster award from me ! Just click on my link for details! Please say yes! I'm glad to know that I'm not the only one who struggles sometimes and then uses wine to console myself! ;) he he! Love the banners...very well done for a guy card...need to remember this!